E-commerce giant JD.com is participating in CES for the very first time. JD’s booth, #30329, “Delivering the Future of Shopping”, showcases not only the innovations that enable China’s largest retailer to deliver to customers at staggering speeds all across China via its nationwide logistics network, but also features the latest retail technology, which JD is using to empower other partners, online or offline. The future of retail is “Boundaryless Retail” – the idea of enabling consumers to buy whatever they want, whenever and wherever they want it, online, offline, or even virtually. 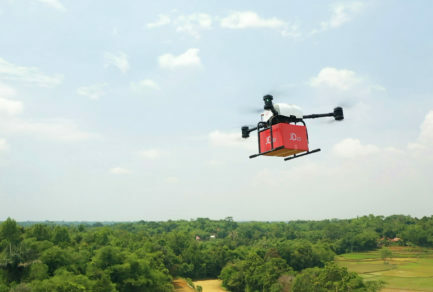 All of this is enabled by the most advanced retail technology in the world, from a drone delivery network for rural shipments to unmanned delivery vehicles in dense urban areas. Behind the scenes, AI and robotics make JD’s supply chain modern and powerful. When combined, and shared with other retailers and partners all over the world, JD’s technology makes up the infrastructure for the future of shopping. Come and visit us in the Las Vegas Convention Center’s South Hall 3, Booth #30329. All of JD’s updates from CES can be found on this page. If you have any questions or would like to get in contact with us, please email press@jd.com. E-commerce giant JD.com today kicked off its participation in the run up to the 2019 International Consumer Electronics Show with a sample of the advanced technology the company is using to change the way people shop in China.